On July 1st, 1976, Frank Stephenson opened a business selling parts out of Martin State Airport in Baltimore, Maryland. 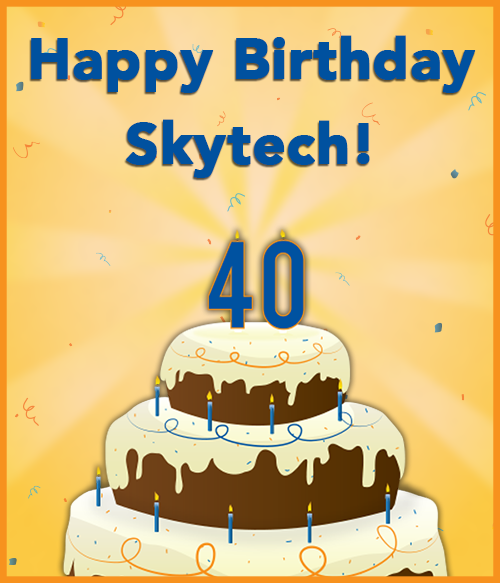 Skytech, 40 years later, has expanded into a complete General Aviation resource offering an array of services to those in the Mid-Atlantic and beyond! With a celebrated past and a promising future, we at Skytech look forward to continued growth in the industry. On the heels of receiving our FAA Part 135 charter certificate, we are now preparing to welcome the Pilatus PC-24 and the Piper M600 to our sales fleet in the near future. We owe our many years in business to those of you who’ve trusted us with your aviation needs. We truly believe that the best is yet to come and we’re eager to share it with our customers! To read more about the history and progression of Skytech, be sure to read our next Skytech Advantage magazine. Subscribe by clicking here. This entry was posted on Friday, July 1st, 2016 at 9:00 am. Both comments and pings are currently closed.